"ONE DAY IT'S AN ACTOR, ANOTHER DAY IT'S A CRICKETER" - TAMANNAAH ON HER MARRIAGE RUMORS! 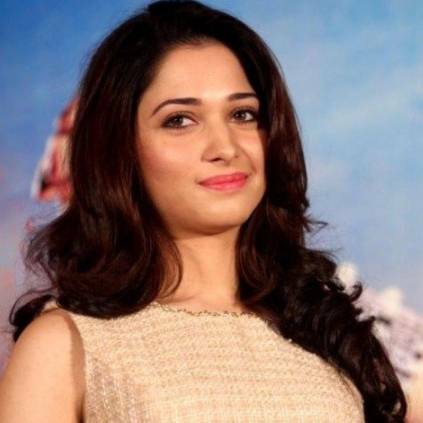 Tamannaah has been a prominent part of the South Indian film industry for many years now. She has appeared in various hit films across the southern languages with most of the top stars. "One day it's an actor, another day it's a cricketer, and now it's a doctor. These rumours make it sound like I'm on a husband shopping spree. While I love the idea of being in love, I definitely don't appreciate baseless news when it comes to my personal life. I am happily single at the moment and my parents aren't groom hunting. The only thing I'm romancing right now are my cinematic endeavours. I really wonder where these speculations constantly crop up from when all I'm doing is shooting. It's really prejudicial and disrespectful. The day I decide on going down that road, I will announce it to the world myself because the institute is consecrated, it's not as casual as the numerous speculations being floated. I'd like to make it very clear for once and for all that marriage isn't on the cards yet and all these baseless rumours must be put to rest and is a product of someone's imagination." People looking for online information on Tamannaah will find this news story useful.